Chick in a Basket takes place twelve days before Easter. The Easter Bunny assigns Agent Chicks to deliver a Magic Golden Egg to each child throughout the community. Each day, the children find the egg and perform a good deed. After twelve days of performing these helpful deeds, the children are rewarded with Easter gifts. Summary: This story takes place twelve days before Easter. The Easter Bunny assigns “Agent Chicks” to deliver a Magic Golden Egg each to children throughout the community. Each day, the children find the Egg and perform a good deed. After twelve days of performing these helpful deeds, the children are rewarded with Easter gifts. Opinion: You could picture the setting well, and the mood was very bright and enlightening. 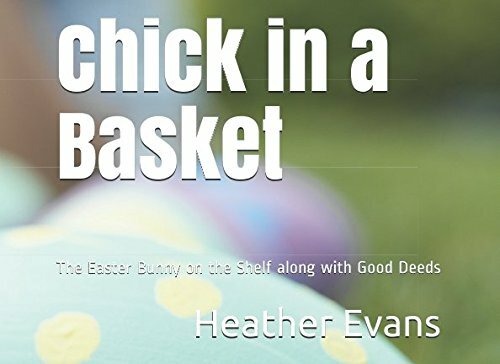 The writer’s characters include the Easter Bunny, the “Agent Chicks”, and the children. The author uses personification, so the reader is able to picture them similar to a human. I enjoyed the author’s writing style because throughout the story she used poetry and a slight sense of humor. Overall, I thought this was a wonderful book, teaching children the importance of performing good deeds and being able to enjoy a reward for your actions. The author could improve the story by also sharing consequences for bad actions.